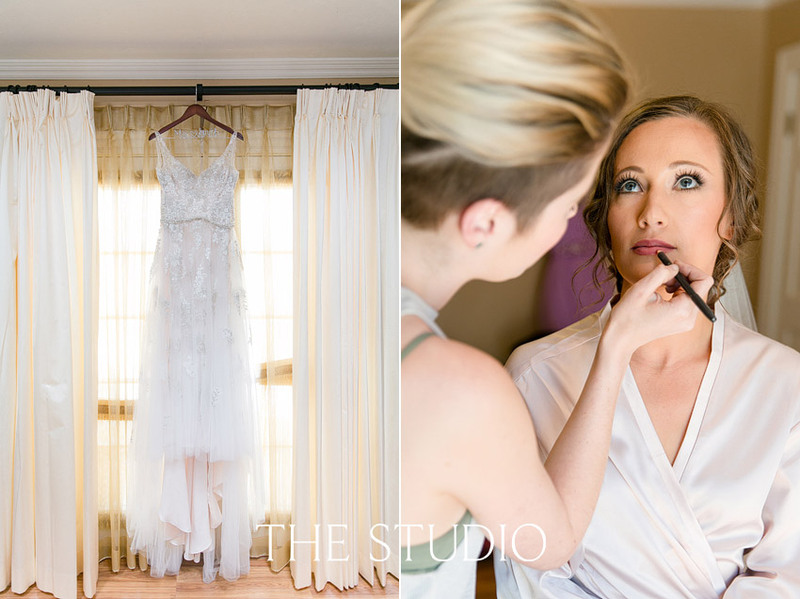 Ashlyn and Geoffrey’s wedding over at Bel Vino Winery was absolutely incredible. They decided to hire The STUDIO for their wedding photography and we are SO in love with all of their pictures. One of the best things about having a Temecula wedding is that there are so many gorgeous venues to chose from in wine country. Right when we saw all of the delicate embroidery cascading down the bodice and skirt of Ashlyn’s Maggie Sottero wedding dress we were completely blown away. Her dress was absolutely breathtaking. The soft purple accents woven throughout all of their wedding details and florals combined with the natural beauty of this stunning outdoor Temecula wedding venue was the perfect color combination. We loved how white baby’s breath was tied to all of the chairs lining the aisle of their ceremony and how the beautiful vineyards and rolling hills were their backdrop. Talk about a photographer’s dream come true!! The bridesmaids long purple dresses were perfect match to the groomsmen’s purple ties and let’s discuss how much we love ourselves a gray suit?!! Like seriously, does it get any better. Our favorite wedding detail of the day had to be their wedding cake that was made by Ashlyn’s sister Tiana. We loved the white skyline outline that detailed around the third tier and how the sugar flowers (also, handmade by Ashlyn’s sister Tiana) cascaded down from the top tier to bottom tier. The skylines on the cake are all cities Geoffrey and Ashlyn have traveled to: Sevilla, Spain where they got engaged; Kigali, Rwanda where the rotate at the end of medical school; and Philly, Pittsburgh where they lived together. After all of the formal events, Ashlyn and Geoffrey had such a fun night dancing and celebrating with their friends and family. Then at the end of all the festivities, they were sent off with a sparkler grand exit!! 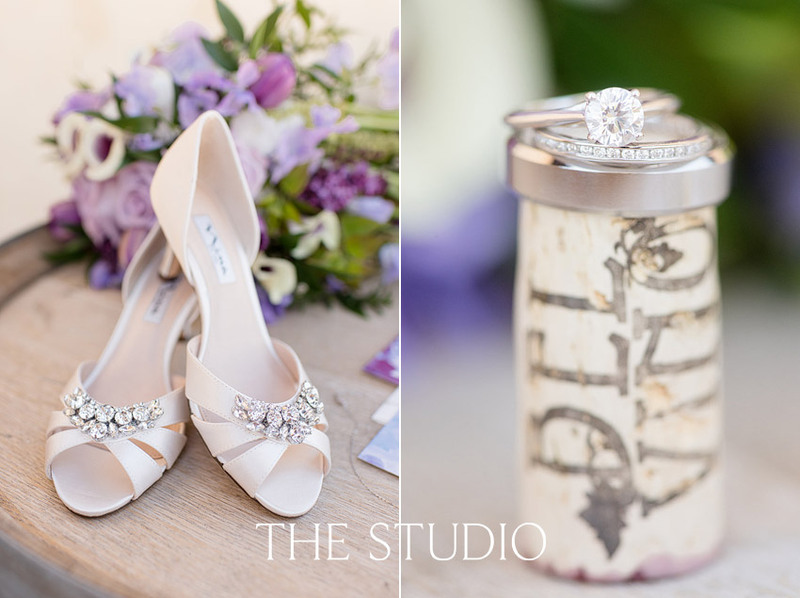 Ashlyn and Geoffrey, thank you so much for having The STUDIO photograph your special day! !